John Davis showed up at the Lottery’s San Francisco office and claimed his prize, choosing the cash option. He will take home more than $93 million from the winning ticket he purchased Aug. 27 at Bottle Liquor and Deli in Morro Bay. Lottery officials described Davis as tight-lipped about his plans for the money, asking only that the minimum details be released to the public: his name, where he is from, and where he purchased the ticket. 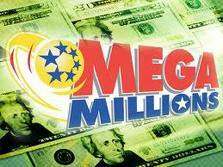 Davis won the prize in the MEGA Millions game played in California and 41 other states. 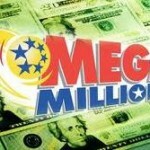 The winning numbers were 4, 10, 26, 32, 41 and Mega 31. Uncle Johnny, is that you? This is alice you’re cousin Mady’s girl who has fallen on some tough times here at the SLO homeless shelter. Can you spare a little starter money for me and your three great grand cousins? Each of their daddy’s would like to meet you too. We miss you and love you. Please don’t forget us. Seriously, best of luck and my condolences. You life will change but it may not be all good. Be very very careful and have a great life. Way to go Mr. Davis. I support your desire to remain as inaccessible as you like…and congratulations.